Last week I presented some pretty startling statistics showing how much extra distance off the tee could be gained with extra club head speed. Every 10mph extra speed, with good launch conditions, adds about 50 yards! So let’s go faster. Remember that every golfer is an individual, with individual levels of flexibility and personal injuries and strains. 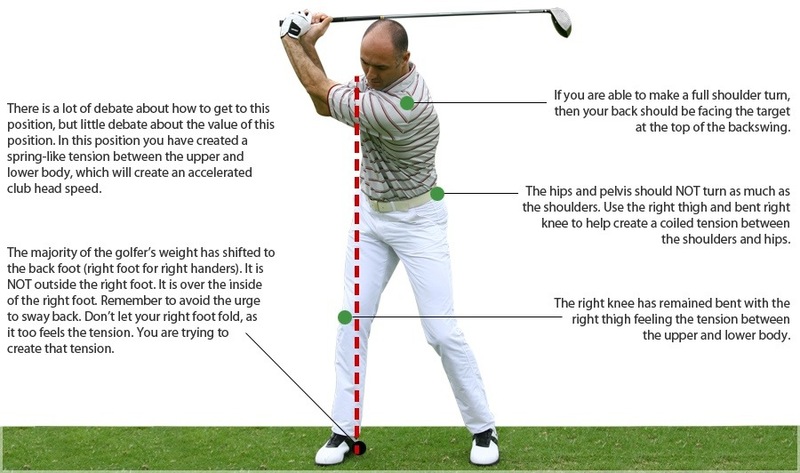 In that respect we need to be careful with general advice and find the swing that works for you and your body. That’s why you have a personal PGA Professional. This entry was posted in fitness, golf, golf instruction, golf tips, sports and tagged fade, golf, golf instruction, load, slice, swing. Bookmark the permalink.